That combination is rarely the ideal for like-for-like use in church. In church at least half the congregation (and often the worship leader too) are female. That normally means that the original key is way too high. 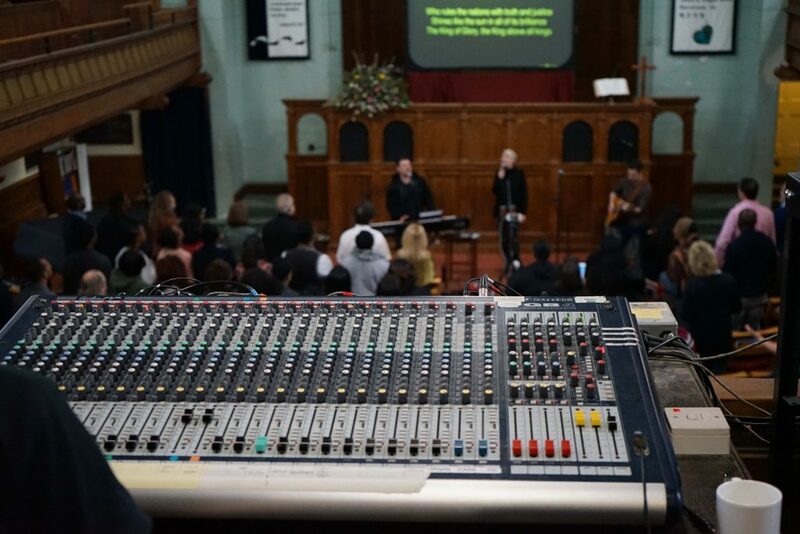 And in church, lengthy introductions, outros, ad libs, impossible octave jumps, bass solos and whatever else that suit a record well are far from ideal in a church setting where the priority should be to serve the congregation with something that is accessible for them and helps them worship. So our MultiTracks, for the contemporary songs we’ve tried to keep the feel of the most well know definitive version of the song but slightly tweaked the key, the arrangement and the parts to make them playable for worship teams and most importantly, congregationally singable. All in all we think our versions are actually much more usable for small to medium sized churches than the original versions! The best known original live version is fantastic for very large gatherings but at nearly minutes long there are a few too many refrains for the average size congregation. So to keep it interactive we’ve kept all the sections but cut out the instrumentals and a few of the repeated chorus sections. We’ve also brought the key down from G to E to make it more congregationally singable for both men and women. Of course if you want the extended version you can always loop and jump around those parts within the MultiTrack player. We’ve tweaked this great Elevation track to make it more suitable for ‘normal’ sized congregations. So we’ve taken the key down from B to A, shortened some links, taken out an unneeded instrumental section and neatened up intros and outros to make them more suitable for a band to follow in MultiTrack format. As with many Bethel based tracks the best known versions are too long and often in too high a key to be suitable for ‘normal’ sized congregations. So again we’ve shortened some repeated sections, neatened up intros and outros and taken the key down from B to Ab to make it more singable for both men and women. With this track we’ve tried to combine the best bits of both the original studio recording and the acoustic version so by muting or soloing different instrument combinations you can have either version! Again in the interests of congregationalability (!) we’ve shortened the intro, trimmed some of the links and placed a repeat chorus where the instrumental section was to encourage max participation. Plus the original key was D with vocal octave jumps, which works for some men with high tenor voices but is unsuitable or female vocal ranges, so we’ve taken out the octave jumps and put it in the key of G which makes it much more participatory for everyone! This track didn’t need much arrangement work to make it suitable as a MultiTrack, just some very minor tempo tweaking and adding an intro so a band could easily find the first beat 1. Plus, the original key of C puts it uncomfortably outside most female vocal ranges so we’ve taken it down to Bb as a much better congregational compromise. We’d love to know what you think about our recordings. People often “think” they want the original but we are convinced that our tweaks actually make our recordings a lot more accessible.